Lifting weights is good when you’re doing it for yourself, but imagine lifting weights so that you’ll be physically prepared to help construct a home for a family. Don’t you think you’ll lift harder without even having to try? 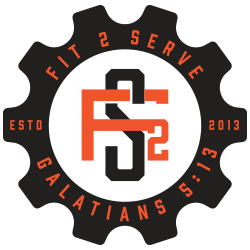 At CrossFit 2 Serve, we have discovered that the best motivation is not a great body or feeling well – it’s helping others. When you plug into that socket, you’ll be amazed (and delighted) at how far you can go! In our last blog, we discussed two ways that helping others improves your health and quality of life. Today, we are going to talk about two more reasons you should work out to benefit others beyond yourself! When you volunteer, you get to practice workplace skills with little to no risk. Communication, organization, problem solving, task management, and project planning all go into volunteering. No matter the role you play, you will get better at working with others toward a common goal. That’s not to mention the fact that you can volunteer in areas you want to work later – it’s amazing way to get free experience that will end up being a food in the door for you when it’s time to shift careers. There are always obstacles to making connections. You may be shy, or perhaps you’ve moved to a new area and you don’t know anybody. Volunteering is the premier way to meet new people and build connections. You’ll be pursuing a common together, which is often better for bonding than simple conversation. Contact us for purpose-driven CrossFit training in Las Vegas today!